Design for a rapidly growing Physical Therapy Clinic in a Traditional Neighborhood Development (TND). This New Urbanist approach to designing cities, towns, and neighborhoods consisted of mostly residential structures as Dynamic Physical Therapy resulted in one of the first few commercial structures to join TerraBella. Maintaining high quality materials, architectural elements and overall aesthetic were important factors to The Village. How can this be achieved without blowing the budget? 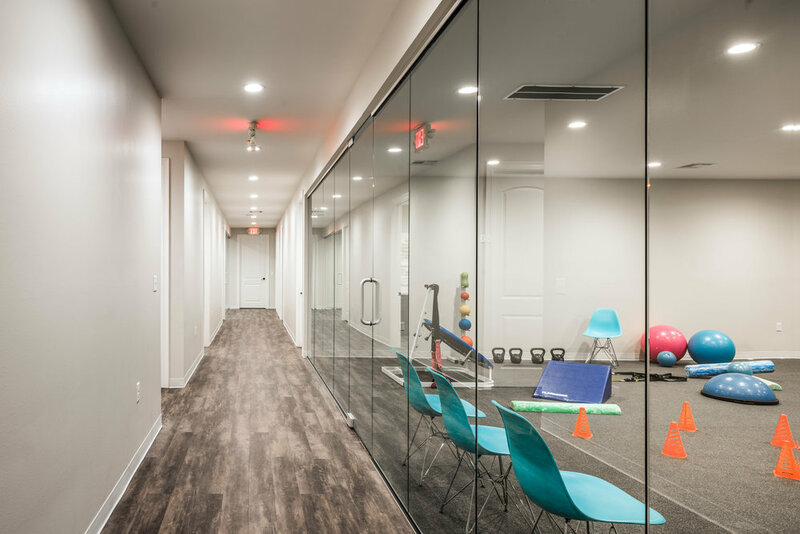 By working closely with the owner, GLA was able to create an extremely efficient floor plan for their daily operations, satisfy the need for growth and expansion of therapeutic services all while complying with TerraBella’s design guidelines and review processes. The design resulted in a high-quality product within a reasonable price per square foot for construction; just $110 per square foot! Material selection, efficient design and wood frame construction helped achieve the low price per square foot.